This document was last modified by Ordinance #O2018-09, dated May 15, 2018. The document is reviewed monthly for amendments passed by the County Board, with the last review encompassing the April 17, 2019 County Board Meeting. This document was last modified by Ordinance #R2005-17, dated July 20, 2005. 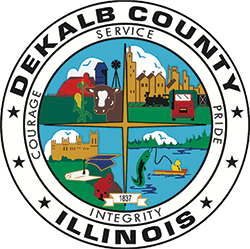 The document is reviewed monthly for amendments passed by the County Board, with the last review encompassing the April 17, 2019 County Board Meeting. These ordinances may impact the County’s “Code of Ordinances” (Including Subdivision Regulations and Zoning Ordinances) since the most recent update to the codified documents.